Vancouver, BC – Tax season is here and BBB offers plenty of tips to help you find a trust tax preparer and to potentially avoid a couple of scams making the rounds in Canada. The CRA scam involved threatening phone calls at all hours demanding a tax repayment or you would be arrested or deported. * Check on qualifications. Ask about their training, experience and knowledge of current tax law, and whether they are members of a professional organization with continuing education requirements and a code of ethics. * Learn about their service terms in advance. Find out whether they guarantee the accuracy of their work and amend the return if there’s a mistake. And find out if they can be reached year round if there is a mistake or are required to undergo an audit, you want to make sure you can reach them after the tax season is complete. * Ask for references. Get referrals from satisfied clients. * Check with BBB. Visit www.bbb.org/mbc/ to determine if the tax preparer has a reputation for reliability and trustworthiness. * Request a quote. Ask for an estimate of the preparation fee before authorizing the work. * Signature. Make certain the preparer has signed it and get a copy and payment receipt for your records. Also review the return before signing it and ask for clarification of any entries you don’t understand. Each year new scams surface online, promising tax refunds and other incentives to get you to part with your personal information. * Phishing Scams. Never open or download attachments included with messages claiming to be from the Canada Revenue Agency. Typically, these messages advise the recipient that they have qualified for a tax refund and need to click on a link to enter their information. The link takes the person to a bogus website and requires the visitor to enter personal identification. CRA will not contact you via email. Sometimes this is used to re-direct a direct deposit return. * Identity Theft. If you’re doing your taxes on your own online, don’t use a public wireless connection. Even using the latest wireless security encryption standards such as WPA2 can be risky, so use a wired connection when dealing with sensitive financial and personal information. * Malware. Refrain from opening any unsolicited tax-related email message, as some messages can exploit weaknesses in your browser and initiate a drive-by download of spyware or malware without your knowledge. * The Canada Revenue Agency DOES NOT solicit personal information online or over the phone. British Columbia plans to introduce a series of improvements to help the taxi industry modernize and remain competitive in anticipation of ride-sharing services coming to British Columbia by the holiday season at the end of 2017, Transportation and Infrastructure Minister Todd Stone and Community, Sport and Cultural Development and Minister Responsible for TransLink Peter Fassbender announced today. “Over the past year, we’ve had some very important conversations with taxi companies and drivers who told us that we need to ensure fairness so they are able to compete effectively with ride sharing providers. This is why we’ve worked so hard to develop these measures, which reflects what I heard through extensive consultations and will allow ride sharing companies to operate, but also allows the taxi industry to be competitive,” said Cultural Development and Minister Responsible for TransLink Peter Fassbender while talking to the ethnic media at Grandtej Banquet hall in Surrey today. New app-based technology: The Province will invest up to $1 million to help the taxi industry develop an app with the capability of shared dispatch to allow the taxi sector provincewide to better compete with new entrants to the market, and allow the public to hail and pay for a taxi with a smartphone in the same way that they would for a ride-sharing service. Crash prevention technology: ICBC will invest up to $3.5 million in the taxi sector to install crash avoidance technology in all B.C. taxis. This technology will improve passenger safety and help avoid crashes. An ICBC pilot showed that this technology led to a 61% reduction in at-fault, rear-end crashes and a 24% reduction in all crashes. Insurance products: ICBC has been collaborating with the taxi industry to streamline the claims process, and is committed to working with the industry to improve their insurance to make it more flexible and cost effective, which could save taxi drivers significantly. Depending on the number of kilometres they drive, these savings could be in the range of 25%. Reduced red tape: The Province will work with municipal governments and the taxi industry to remove red tape and overlap within the system, which will save drivers money. Exclusive rights to street hailing for taxis: Taxis will retain exclusive rights to be hired by phone, at a taxi stand or flagged down at the curb. Pick-up/drop-off anytime, anywhere: Ride-sharing companies typically operate across municipal boundaries. To ensure a level playing field for the taxi industry, the Province will work with municipalities and other stakeholders to allow all drivers, including taxis, the same access to provide services wherever and whenever a passenger needs a ride. Open up taxi supply: The Province will work with municipalities to address the current shortage of taxis and vehicles for hire, which will provide more choice, accessibility and opportunity for both consumers and drivers. All drivers have an unrestricted driver’s licence (no graduated licences) and are at least 19 years of age. All drivers have passed a criminal record check for past convictions of violent or sexual offenses as well as other offenses. All drivers have passed a safe driving record check. Vehicles have passed regular mechanical inspections. Finally, the Province will make sure that appropriate safeguards are in place to protect consumers through fair and transparent pricing. A modernized system that reduces red tape, unnecessary duplication and provides both consumers and drivers with more choice, opportunity and flexibility. Beginning this summer, government will seek additional input from taxi drivers, the ride-sharing and taxi industries, police, airports, municipalities, ICBC and RoadSafetyBC as the Province finalizes its plan in time for the 2017 holiday season. VICTORIA — The money-losing Port Mann Bridge won’t start turning a profit until 2025 — eight years behind its original schedule, according to newly released government figures. Financial forecasts for the bridge, provided to Postmedia News, show it is projected to continue suffering tens of millions in annual losses until 2025-26, when it hits a break-even point. After that, the forecast calls for the bridge to start aggressively repaying both its original construction costs, as well as 13 years of accumulated annual losses, before fully retiring the debt by 2050. The $3.3 billion Port Mann/Highway 1 expansion project over the Fraser River between Surrey and Coquitlam has been plagued by lower-than-expected ridership since it opened in 2012, because drivers have mainly detoured to the nearby free Pattullo Bridge. Transportation Minister Todd Stone said he remains confident the Port Mann will be paid off by 2050 — when Stone turns 78 — and that he’s heartened by a 14 per cent increase in average monthly traffic on the bridge in the last year. “I am absolutely confident with the projections and the numbers I see and that I have put in front of me every day,” he said. The government had originally expected the bridge to be turning a profit in 2017-18, according to Cabinet’s 2010 letter of expectation to the Transportation Investment Corporation, the stand-alone corporation that operates the Port Mann on behalf of the government. Instead, documents released with last week’s provincial budget project a $90 million loss, in addition to $407 million in losses over the first five years, casting doubt over the viability of a future toll bridge to replace the George Massey tunnel. Government reduced its vehicle traffic projections for the Port Mann in 2014, saying they were too aggressive. “It’s a financial disaster for the province,” said NDP critic Claire Trevena. She said the projections showing a 2025 break-even date is part of continued “disgraceful” miscalculations by government. “I don’t believe government’s projections because they’ve got it so wrong for so long,” she said. The new government figures show what the province hopes will be the bridge’s path to profitability. “The assumptions behind the numbers are conservative, projecting a much less than three per cent growth in traffic, slow toll rate increases over time, as well as increasing interest rates,” the transportation ministry said in a statement. The government would not provide exact traffic estimates, or projected tolls, because it said those relate to potential future policy decisions. Instead, its charts refer simply to “cash-flow,” which could be accomplished by increasing ridership, increasing tolls, or some combination of the two. Stone said the positive bridge traffic numbers led to a recent decision not to raise tolls, which currently sit at $3.15 per regular vehicle. Daily traffic on the Port Mann varied in 2016, from a low of an average of 103,000 drivers last January to a high of 140,400 in August. The old Port Mann Bridge averaged 127,000 drivers daily. At three per cent annual growth, the amount of vehicle traffic would more than double by 2050. The B.C. government’s optimism for the future stands in stark contrast to the Port Mann’s current, sobering, financial statements. The bridge earned $145 million in toll revenue last year, which was quickly eaten up by $142 million in interest costs on the debt, $38 million in operating expenses and $53 million in depreciation, leaving an $88 million net loss. The province points to other major projects as proof they can be paid off over the long term, such as the Oresund bridge linking Denmark and Sweden, which cost 2.6 billion euros and opened in 2000 with a 34-year repayment plan that remains on track despite initial loses. The transportation ministry also pointed to Highway 407 in Ontario, a contentious tolled structure that cost $1.6 billion to build in 1997, lost money in its initial years and then began to turn a profit before it was sold to a private company for $3.1 billion in 1999. After more than 40 months of paid suspension, a B.C. Mountie was exonerated Tuesday in a swift two-minute phone call. It’s the latest twist in a case that stemmed from a fall 2012 incident in which two cars were reported stolen from the Osoyoos home of Const. Amit Goyal. Since then, Goyal has faced a criminal investigation, a separate civil lawsuit, and has seen his RCMP conduct hearing rescheduled at least six times since disciplinary action began in November 2013. The saga’s latest chapter ended Tuesday, when the RCMP withdrew all charges and exonerated Goyal, clearing the way for him to return to active duty. The hearing was held via video- and tele-conference, with three RCMP adjudication board officers dialling in from Regina, Edmonton, and Ottawa. Goyal was facing “extremely serious allegations,” Benkendorf said after Tuesday’s hearing. He had been accused of committing insurance fraud by allegedly abandoning his Audi S5 and an on-loan Ford Ranger on Anarchist Mountain on the outskirts of Osoyoos, torching them and then reporting them stolen. “The member (Goyal) has been exonerated by this evidence,” Reid said. Goyal was not able to comment on the case, Benkendorf said, but he was “relieved it’s over,” glad to be cleared, and eager to return to duty. An early suspect in the car thefts was a local man with a criminal record, court filings show. But the investigation soon turned to Goyal, and RCMP officers from an outside detachment told The Province in 2014 they recommended criminal charges of arson and fraud against Goyal, though the charges were never approved by the Criminal Justice Branch. 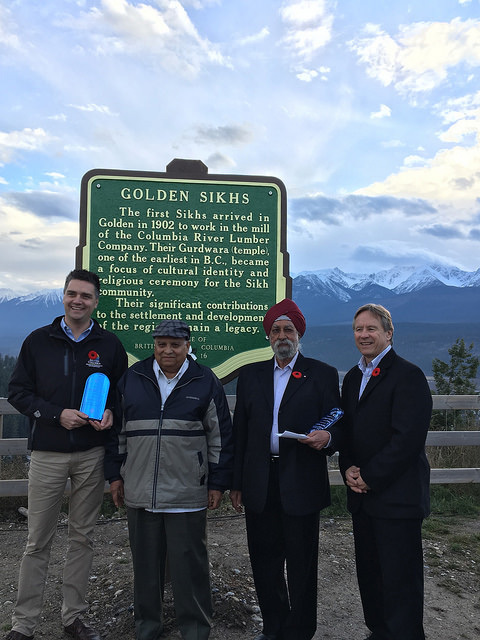 Goyal was also named in a civil lawsuit filed last June by a former Osoyoos resident, although there has been no activity on the file in the past year, and it was unclear if the action would proceed. This is an aerial view from Google Maps/Earth of the Oakridge Transit Centre located at 949 West 41st Avenue, east of Oak Street. The lot has been sold by TransLink to Intergulf-Modern Green Development Corp. for redevelopment into a residential community, at the price of $440 million, it was announced on Dec. 20, 2016. It is believed to be one of the largest real estate transaction in B.C.’s history. TransLink has sold its 13.8-acres Oakridge Transit Centre lot to a developer for $440 million, making it one of the largest real estate transactions in B.C.’s history. The transit authority announced Wednesday that the sale of the site on West 41st Avenue, east of Oak Street, had been finalized. Intergulf-Modern Green Development Corp. was selected over 13 other interested buyers, and will pay $440 million to TransLink by 2022 in the structured transaction sale. “This transaction is a tremendous benefit to taxpayers, and is an example of how TransLink is using its resources to better serve customers across the region,” said TransLink board chair Don Rose in a statement. Operations at the Oakridge site had previously been moved over to the Hamilton and Burnaby Transit Centres in September, allowing the lot to be declared surplus land and put up for sale. A total of $150 million from the Oakridge sale will go towards funding the pre-construction work for the Broadway Millennium Line extension and the Surrey-Newton-Guildford light rail projects. The remaining proceeds of the sale will fund other rapid transit projects outlined in the 10-Year Vision approved by the Mayors’ Council and TransLink’s board of directors earlier this year. The Oakridge site, located at 949 West 41st Avenue, was the topic of community consultations before it was listed for sale. In late 2015, Vancouver City Council approved a policy statement that allows for the lot to be redeveloped as a primarily residential community. According to TransLink’s statement issued Wednesday, the city’s approval for residential redevelopment helped boost the land value of the lot. VICTORIA — The B.C. government will loan first-time homebuyers some of the cash they need to afford their down payment, Premier Christy Clark announced Thursday. The program will provide a government-backed loan of up to $37,500, or five per cent, of the purchase price of a home for qualified buyers, starting Jan. 16. The goal is to match part of a person’s down payment to help them afford to buy their first home, as long as they already qualify for a mortgage under federal rules and the home is worth less than $750,000. “What we know is for many first-time home buyers qualifying for a mortgage is hard, but getting past that down payment and scraping together the $25,000 or $50,000 you might need to be able to get into your first home is just impossible,” said Clark. Clark said the move is a way for government to “be a partner in your home” and move renters into home ownership where possible. The 25-year loan is interest-free for the first five years, and does not require the homeowner to even pay down the principal during those first five years, as long as they keep the home as their principal residence. It will be recorded as a second mortgage on the title of the property. After the first five years, the province expects monthly payments at the current interest rate, with the loan repaid over the remaining 20 years. Extra payments or full repayment at any time will be allowed, according to the government. The new down-payment program will cost government an estimated $703 million over three years, and is expected to help 42,000 people, according to government figures. Provincial officials provided a few examples Thursday of how the program would work. On a home worth $600,000, federal mortgage rules dictate a person must have a down payment of at least $35,000. If the person has saved only $30,000, the government would provide a matching $30,000 loan, giving the buyer $60,000 for the down payment. On a home worth $750,000 (the program maximum), the minimum down payment would be $50,000. If a person had saved a $52,500 down payment, government would provide five per cent of the $750,000, adding $37,500 to the down payment and allowing the buyer to pay almost $90,000 as the down payment. That could save $5,200 on interest payments on the mortgage over five years, say government officials. Applications for the program will start on Jan. 16, 2017, for purchases that close on or after Feb. 15, 2017. The province said it will be a three-year program. Government officials told media Thursday they hoped the program would have a very small default rate on the loans, because the owners would be meeting federal mortgage rules and qualifications under federal stress tests. The premier said she was not concerned the program would raise housing prices. “Our analysis tells us that it won’t because everybody who is going to be eligible for this program will have to have been accepted for a mortgage already,” said Clark. The changes for first-time homebuyers are the latest in a series of housing reforms by the Clark government. The province introduced a 15-per-cent tax on foreign buyers in August, which data suggests has sharply curtailed foreign purchases in the Metro Vancouver real estate market. The tax has done little to lower the price of most detached homes, but the real estate industry expects prices to drop next year. The government had also offered tax breaks to first-time homebuyers in its February budget. The budget reforms included removing the property transfer tax on newly built homes worth up to $750,000 (a tax savings of up to $13,000), while increasing the property transfer tax to three per cent from two per cent on homes sold for more than $2 million. At that time, the province chose not to change the $475,000 threshold on used homes that allowed first-time homebuyers to also avoid the property transfer tax. Environment Canada has issued special weather advisories for several regions of the province for extremely cold temperatures and arctic outflows causing strong winds combined with snowfall. Arctic outflow warnings are issued when bitterly cold winds that can create wind chill values of -20 or less for six hours or more are forecast. In these conditions, people should limit outdoor exposure or use caution due to the increased risk for frostbite and hypothermia. Be particularly mindful of children and pets being outdoors at this time. Always wear clothing appropriate for the weather. Dress warmly in layers with a wind resistant outer layer. Synthetic and wool fabrics provide better insulation. Some synthetic fabrics are designed to keep perspiration away from your body which keep you dry and further reduce your risk. Cover as much exposed skin as possible to avoid frostbite by wearing hats, gloves and scarves. Be sure to cover your nose to protect it. Try to stay dry. If you get wet, change into dry clothing as soon as possible. You lose heat faster when you’re wet. Drive with care. Strong winds combined with snow can significantly reduce visibility. Drivers should monitor DriveBC road conditions and have an emergency kit in their vehicles that includes warm clothes and winter footwear, food and water, a shovel, a flashlight, and a fully-charged cell phone for emergency calls. Recently, Chief Bob Rich authored a letter to the parents of the young men involved in the conflict. The letter is an earnest attempt to change the direction of the conflict and the lives of those involved. They shared this letter with the media and the public with the hope that it again informs citizens on what the APD is doing and becomes a catalyst for others to be part of the positive change that is so desperately needed.